Hey guys new to the forums but have been following LCN and other youtubers. Started my lawn project last year with an overseeding of JG Black Beauty in the Fall. Used Lesco starter/ Milo and Sta Green Soluble Lime. Here are my results this spring haven’t done anything yet other then sprayed .183 oz/1000 of prodamine with 3 oz/ 1000 of RGS. First mow today and wanted your suggestions of what to do next. Thanks in advance guys! As stated earlier nothing yet this season other then prodiamine and RGS. 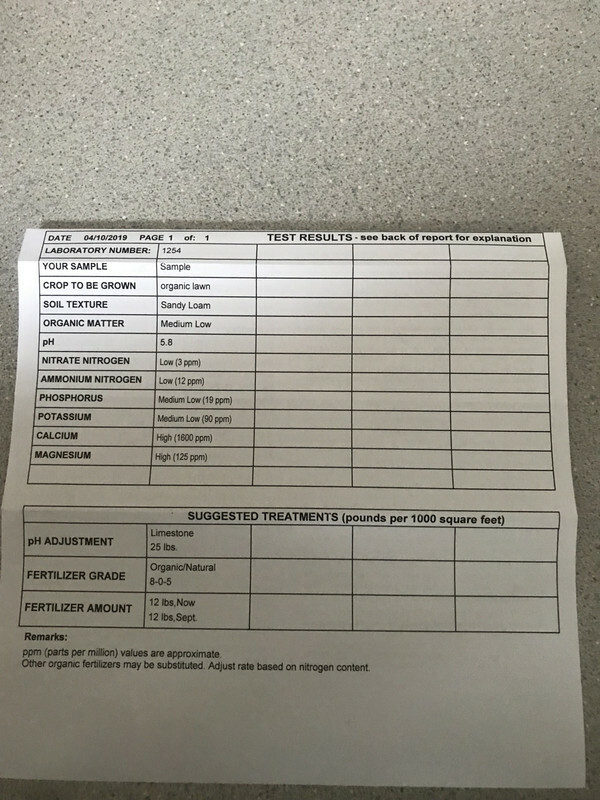 Have some Lesco left over was thinking of using to give lawns push of N and P based on the soil test results?